Turkey’s charming southern city of Antakya lies equidistant to the Mediterranean coast and the Syrian border, in the province of Hatay. The area is famed for its unique, spice-laden cuisine, though it is perhaps overshadowed by that of its neighbors to the east and west: Adana and Gaziantep, respectively. 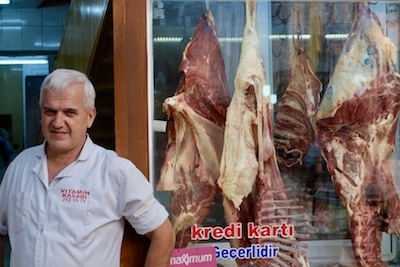 The former is practically synonymous with kebab while the latter is famous for, well, everything, and is often touted as Turkey’s undisputed food capital. But a recent two-day trip to Antakya made it imminently clear that its cuisine deserves just as much praise as Adana’s glorious grilled skewers and Gaziantep’s divine baklava. The integrity and autonomy of its rich cuisine comes as no surprise to anyone acquainted with this special city. CB on the Road: Join Us in Gaziantep! Ask CB: Eating in Cappadocia?